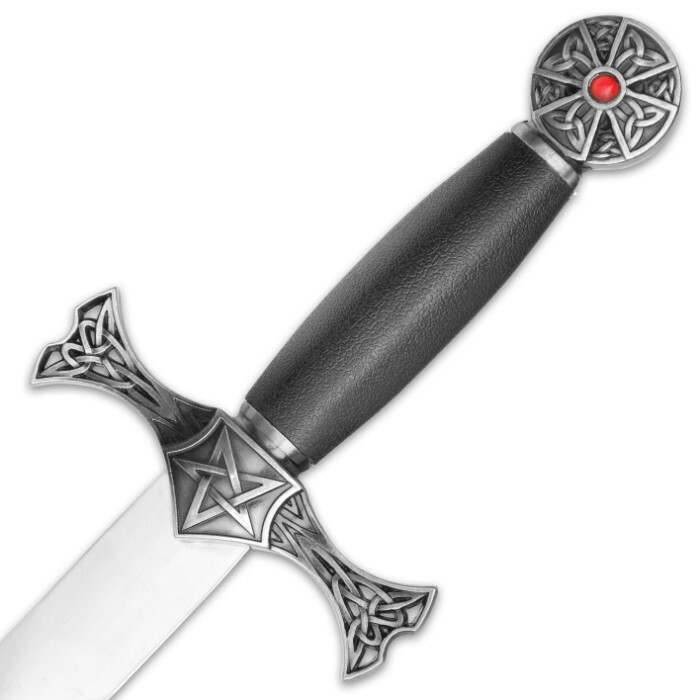 Celtic Cross With Jewel Crusader Dagger And Sheath - Stainless Steel Blade, Metal Guard And Pommel, Faux Ruby - Historically Inspired - Length 14 1/2" | BUDK.com - Knives & Swords At The Lowest Prices! 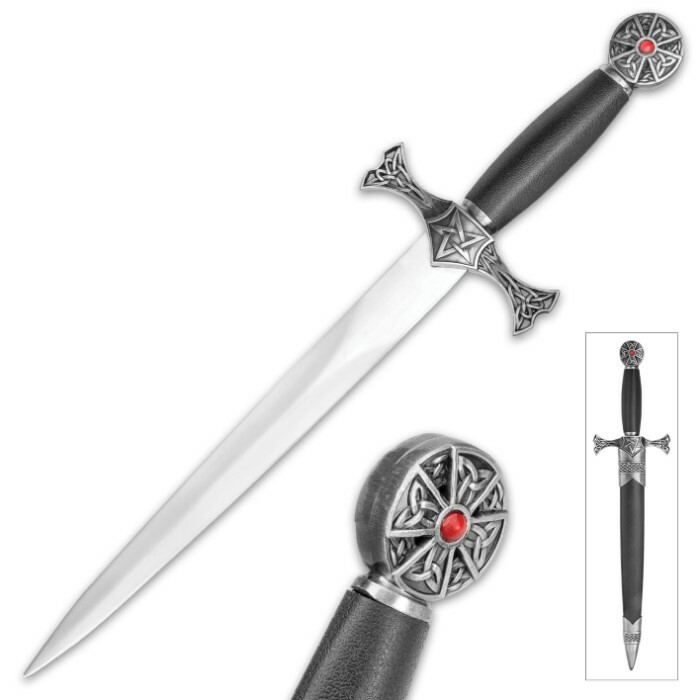 Celtic Cross With Jewel Crusader Dagger And Sheath - Stainless Steel Blade, Metal Guard And Pommel, Faux Ruby - Historically Inspired - Length 14 1/2"
Using the era of those spiritual warriors, the Crusaders, as inspiration, the Celtic Cross With Jewel Crusader Dagger was designed and expertly fashioned. 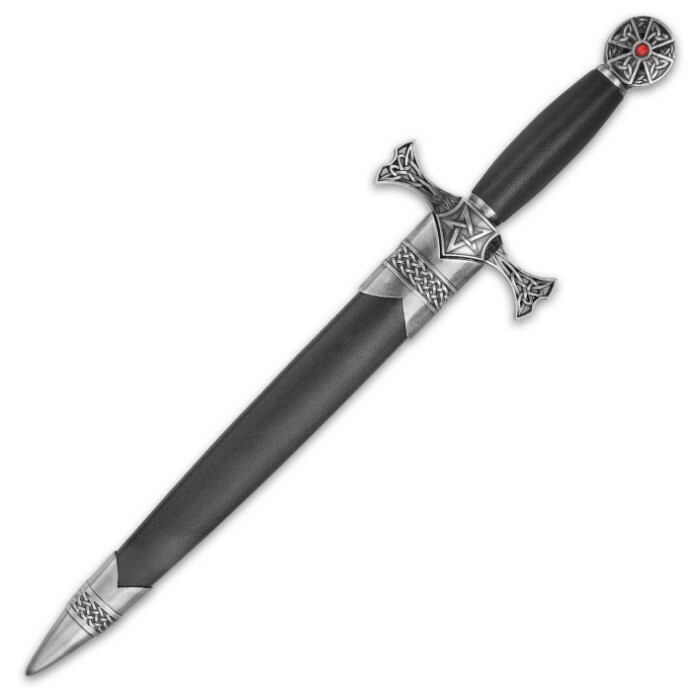 It has a 9 1/4" 420 stainless steel display blade and a smooth black ABS handle to match the black ABS scabbard which houses the blade. 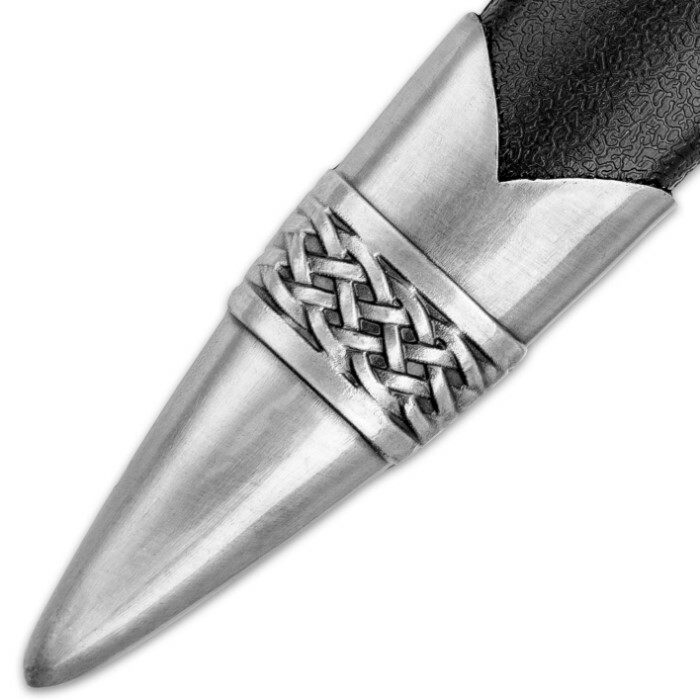 The scabbard has Celtic knotwork themed, faux pewter accents which complement the metal guard and pommel. 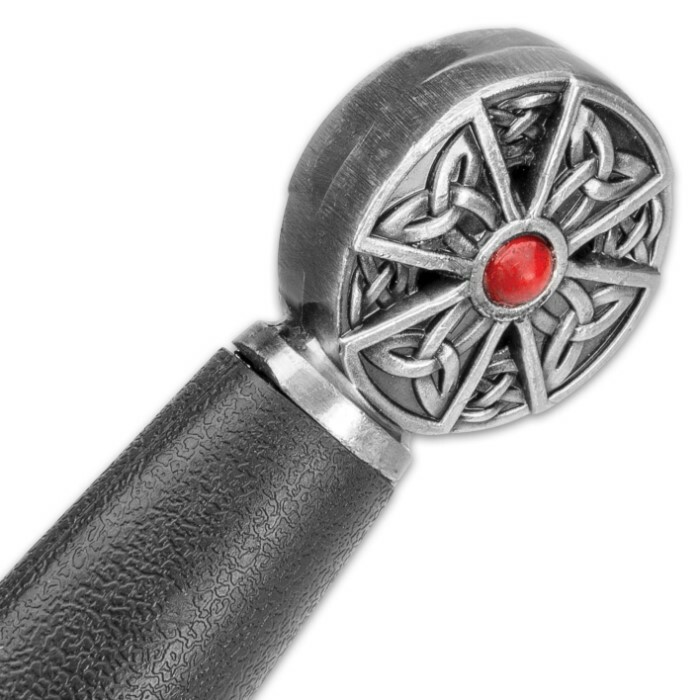 The faux pewter pommel features a traditional Celtic cross with a faux ruby to match the knotwork design of the guard. 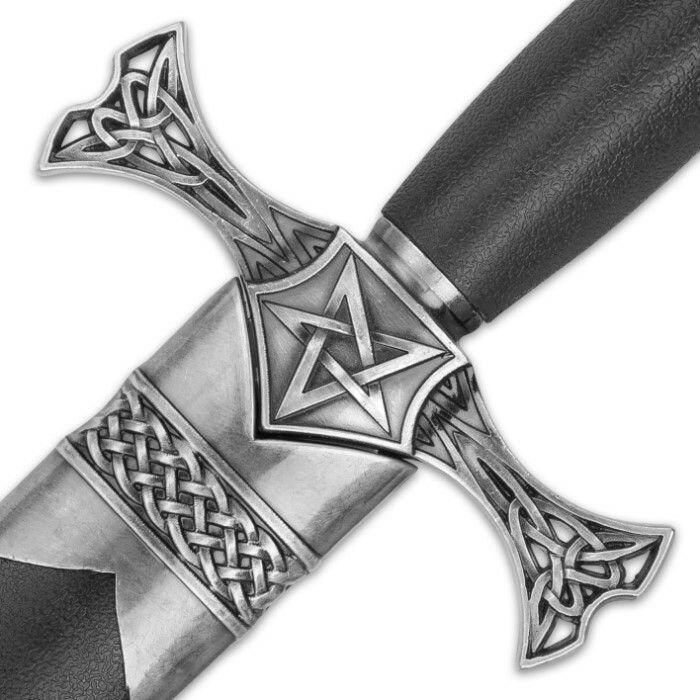 The Celtic Cross With Jewel Crusader Dagger looks great displayed on your desk, bookshelf or coffee table.